These are Monteverde slim converters which have been modified to suit all pens which take the Sheaffer Slim Converter including the Slimline Targa. These feature a special Delrin modification which has been turned to precise dimensions to suit all Sheaffer pens which take the Sheaffer Slimline converter. The Sheaffer converter is now unprocurable having not been manufactured for a number of years. Touchdown fronts in black, green, burgundy, blue and grey in yellow and white gold. Ball point caps and barrels in countless combinations including the very popular Sterling Silver and Vermeil "Antique" series pens. Various parts to suit the above models including ball point and rollerball fittings. 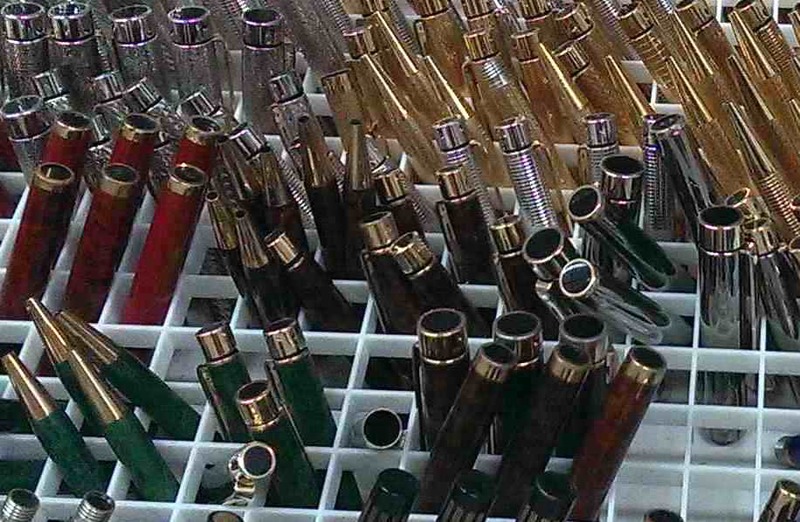 Many used front-ends and nibs to suit a large range of vintage Sheaffers. 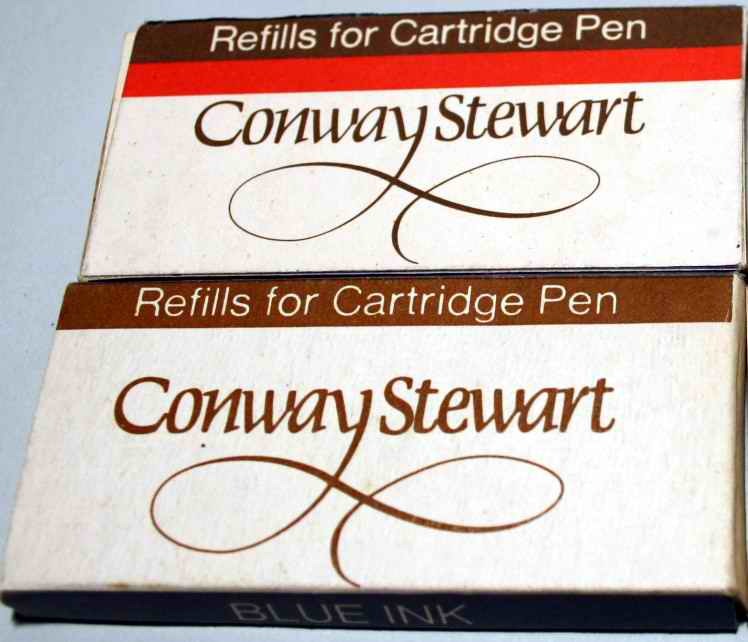 Description We have a large number of "vintage" Conway Stewart ink cartridges. These are "long" cartridges but will fit most pens using the international standard cartridge. Packs of four in Blue only. These were made in the1960s and are still in perfect condition. 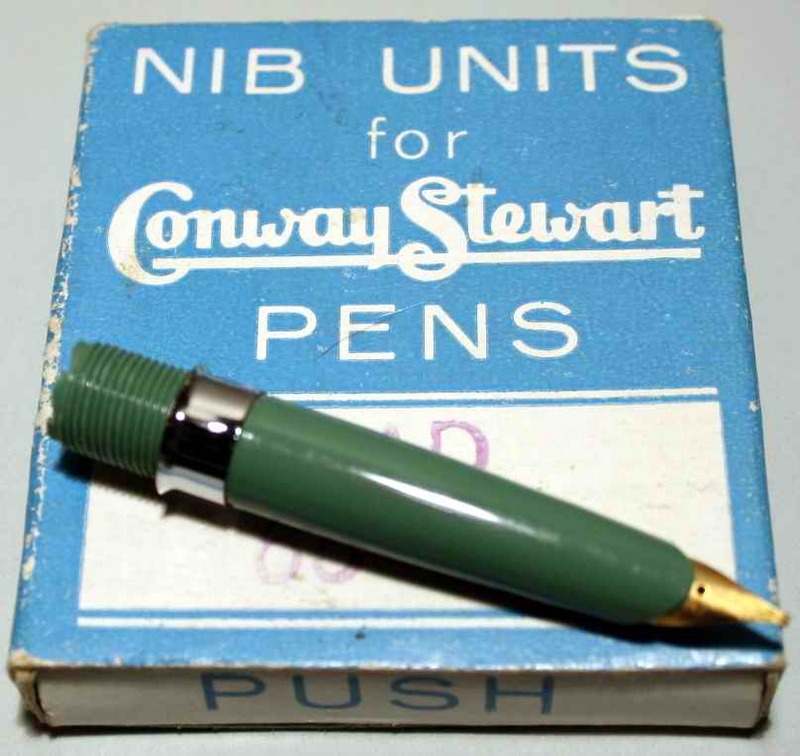 Description The "100" series Conway Stewart pens were produced in the late 1950s and early 1960s. They featured interchangeable nib units in the form of an integrated section and nib. We have a number of unused, mint condition nib units in various section colours with gold and steel nibs and in many various nib widths.